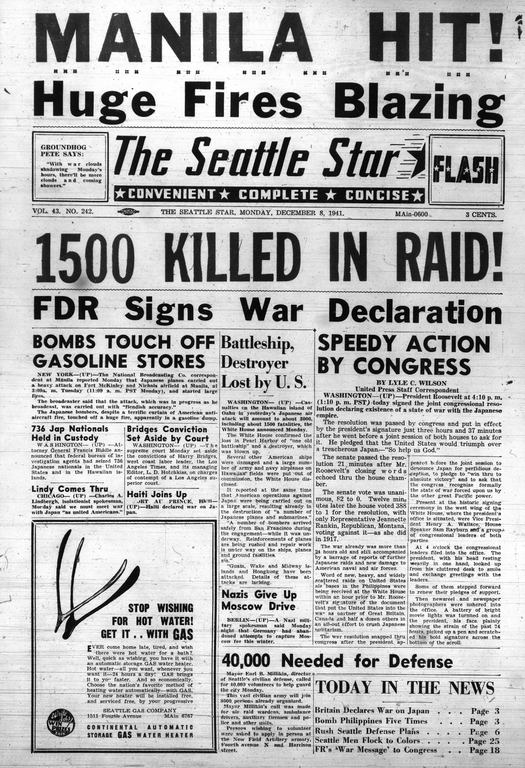 For Americans of a certain age, December 7, 1941, will forever be, as President Franklin Delano Roosevelt labeled it — “a day that will live in infamy”. It was on that day, at 7:48 am, that Japan attacked Pearl Harbor on the island of Oahu, in the process decimating the U.S. Pacific fleet and precipitating America’s entry into World War II. The attack on Pearl Harbor is rightly remembered as a devastating moment in American history. But forgotten in the retelling of Pearl Harbor is that the Japanese attack on that day was not limited to Hawaii. The Philippines — America’s only colony (also a forgotten fact)– also came under attack by the Japanese and the American air base at Clark Field was decimated. 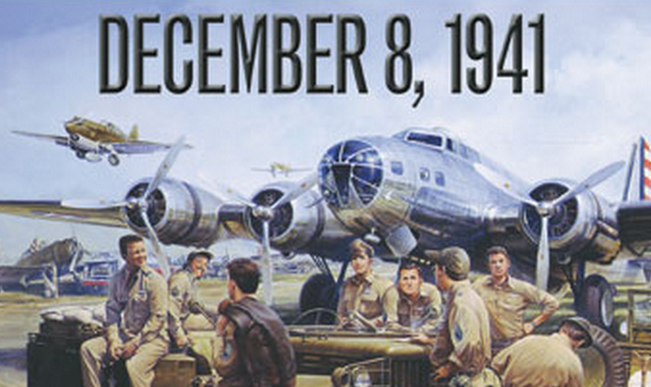 The story of the attack on the Philippines deserves to be remembered alongside Pearl Harbor. In 1898 America declared war on Spain over human rights issues relating to Spain’s mistreatment of the inhabitants of Cuba, a Spanish colony on America’s doorstep. Cuban expatriots in the US fanned anti-Spanish fervor to the point that in America of 1898, sympathy for Cuban insurgents ran high — particularly so after the Spanish military commander Valeriano Weyler y Niclau instituted reconcentrado — the use of concentration camps — whereby Cuba’s rural population was forced into garrison towns. 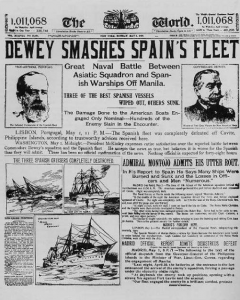 A series of events in 1898 — particularly the mysterious explosion and sinking of the USS Maine in Havana harbor — brought the calls for war to a crescendo. Meanwhile, Spain held another colony, the Philippines, half a world away where many of the same policies were in effect, and where insurgents had been battling Spain for control of the islands for years. America went to war with Spain and fought the war on two fronts — in Cuba, and in the Philippines. 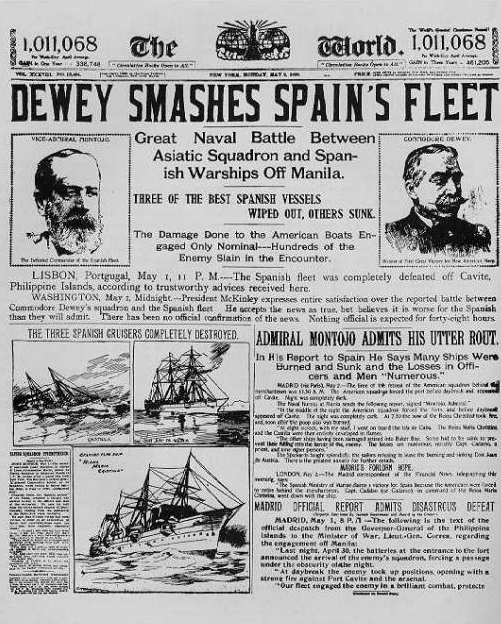 Commodore (soon to be Admiral) James Dewey and the American Asiatic Squadron defeated the Spanish Fleet in the Battle of Manila Bay, and at the successful conclusion of the brief war America gave Cuba its freedom, but took the Philippines as a colony. Philippine insurrectionists who had made common cause with America against Spain objected but to no avail. In February 1899 war broke out between the US and the Phililppines — a war that started as a conventional affair, and quickly devolved into a Vietnam-style insurgency. 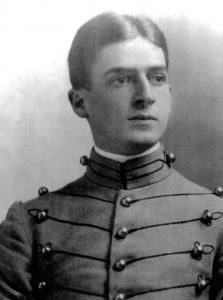 In 1901 the US declared military victory and began a period of civilian rule. MacArthur returned to the Philippines in October 1922, to assume command of the Military District of Manila. MacArthur’s friendships with Filipinos like Manuel Quezon offended some Americans who found MacArthur inadequately colonial in his behavior. In June 1923, MacArthur assumed command of the 23rd Infantry Brigade of the Philippine Division. In 1925, at the age of 44, he was promoted, becoming the Army’s youngest major general and returned to the US where in 1927 he assumed command of the Philippine Department and in subsequent years spent considerable time in the Philippines as part of his duties. In 1935, as the Philippines achieved semi-independence, Philippine President Manuel Quezon called upon MacArthur to supervise the creation of a Philippine Army. MacArthur then took on a dual assignment as Field Marshal in command of the Philippine Army and as the Military Advisor to the Commonwealth Governmet of the Philippines. In 1937 MacArthur retired from the Army but remained in the Philippines. He ceased to represent the U.S. as military adviser to the government, but remained as Quezon’s adviser in a civilian capacity. On 26 July 1941 as war with Japan loomed, Roosevelt federalized the Philippine Army and recalled MacArthur, who had made his home in the Philippines, to active duty in the U.S. Army as a major general, appointing him as commander of the U.S. Army Forces in the Far East(USAFFE) — a joint American-Filipino force. MacArthur was in command of this force when the attack on Pearl Harbor came. The Japanese attacked Pearl Harbor at 7:48am Hawaii time, which was 2:18 AM on the 8th in Manila. A Navy radioman in Manila heard news of the attack within 5 minutes after it began and passed it on to the officer of the day, who telephoned Admiral Hart in his hotel room at the Manila hotel at 3:00 AM. In spite of the activity noted above which began at 3:00 AM, at 11 in the morning all of the aircraft at Clark Air Base were on the ground. Military historians have long debated precisely what happened, and how it came to be that MacArthur’s air force was caught on the ground. But the reality is — the attack came, and the air assets at Clark Field were decimated. At 11:27 A.M. radar in Iba, Zambales, on the west coast of Luzon, picked up a flight of aircraft over the Gulf of Lingayen north of Iba Point. The sighting was reported to Nichols Field (Villamor Air Base today). By 11:37, the report was teletyped to the 24th PG Headquarters at Clark Field. While this initial report is clear — what followed is not, and the trail of exactly who knew what, and when, is unclear. It is certain, however that no American aircraft intercepted any Japanese aircraft. By the time the Japanese left an hour later, half the B-17s and one-third of the P-40s were destroyed, and two of the four P-40-equipped pursuit squadrons were eliminated as combat units. 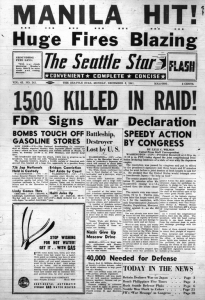 On December 10, two days later, the Japanese bombed and strafed Nichols and Del Carmen Fields, leaving those bases in shambles and destroying about half the remaining P-40s and all but five P-35As. So, only three days into the war, the Japanese had eliminated U.S. airpower in the Philippines. Without a functioning air force, US and Phililppine troops defended against Japan, but ultimately the defense was unsuccessful. On April 9, 1942, the combined US and Philippine forces surrendered. MacArthur escaped to Australia where he would be credited with masterminding the eventual defeat of the Japanese in the Pacific. But of course, the defeat at the beginning of the war was far from the whole story . . . .